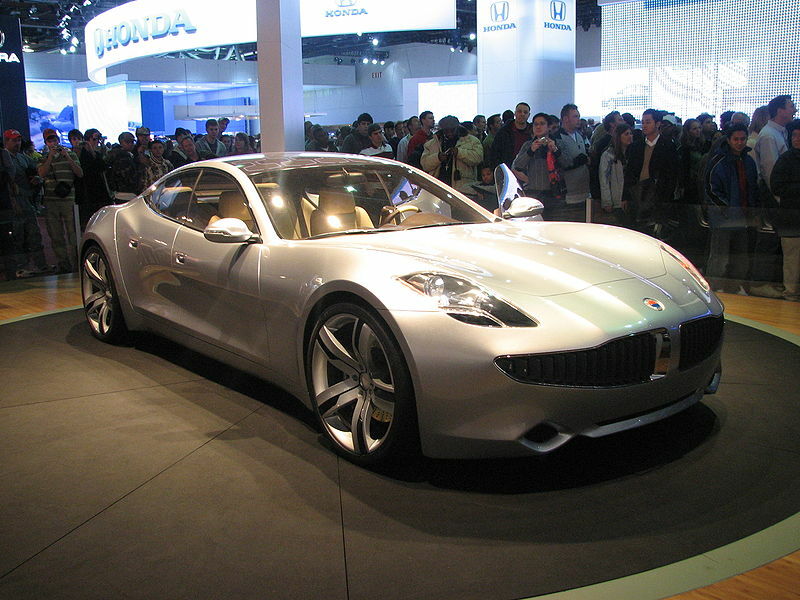 A VentureWire article today discusses the most recent troubles of series-hybrid car maker Fisker Automotive. I think the story of electric car companies like Fisker and Tesla is a good example of the kind of irrational favor that is given to certain sectors (and more specifically, certain companies) by both private investors and government alike. Fisker is not as well known as Tesla, which is run by PayPal founder Elon Musk, but it has certainly received a tremendous amount of attention from venture capitalists and the US Department of Energy. They have raised $850 million from private investors, received approval for $529 million in government loans for their $102,000 Karma hybrid car and $359 million for their second generation vehicle the Nina. That’s $1.7 billion for a company that is currently able to manufacture 20 to 25 cars per week and hopes to be able to produce “thousands” of cars over the next few years but less than the 15,000 per year that they had previously projected for this year. Private investors continue to pour in hundreds of millions of dollars. To justify investing this amount of money in a company – starting at the early development stage to the now very early revenue stage – they must expect that this company will eventually be worth well over $10 billion and be a major global auto OEM. From 2008 to December 2011 Tesla manufactured 2,100 cars. Tesla is a public company with a market cap similar to Peugeot-Citroen who manufactured 3.6 million cars in 2010. How do these expectations and valuations make sense? I can only think that investors got caught up in an emotional wave that said electric cars are going to take over the world. Because this was “collective wisdom” they did not have to do any real thinking themselves. This made it easy for them to gloss over the difficult questions with phrases like, “costs will come down with volume” and confidently stating that someone will solve all their battery, power grid, recycling and other problems in the very near future, without really having any good idea of who will do these things or how they will be done. It’s also why hybrid car manufacturers have stopped using the phrase hybrid and started calling them “electric cars with a range extender” or “electric car” for short. Clever. Can hybrid and/or electric cars find success in this world? Certainly some. Perhaps a lot. The level of success is yet to be determined. What is certain is that plowing billions of dollars into these companies in hopes that it will force an immediate global takeover was ill-advised. This entry was posted in Engine Technology, Entrepreneurship by Ed O'Malley. Bookmark the permalink.